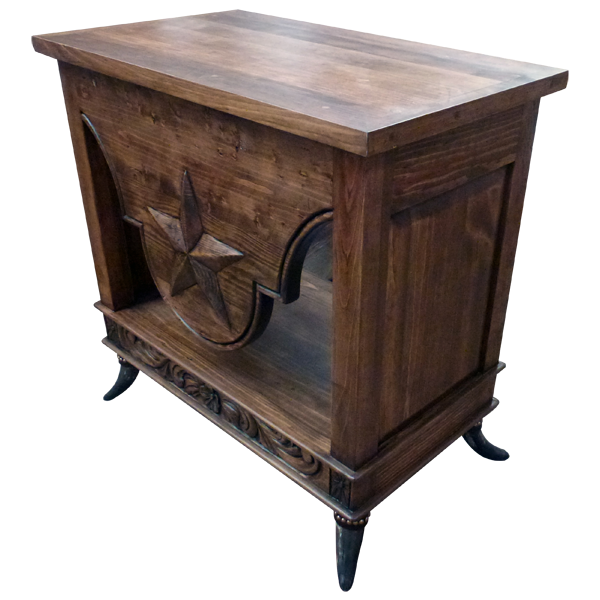 Express your love for the American West with this handcrafted, Western end table. 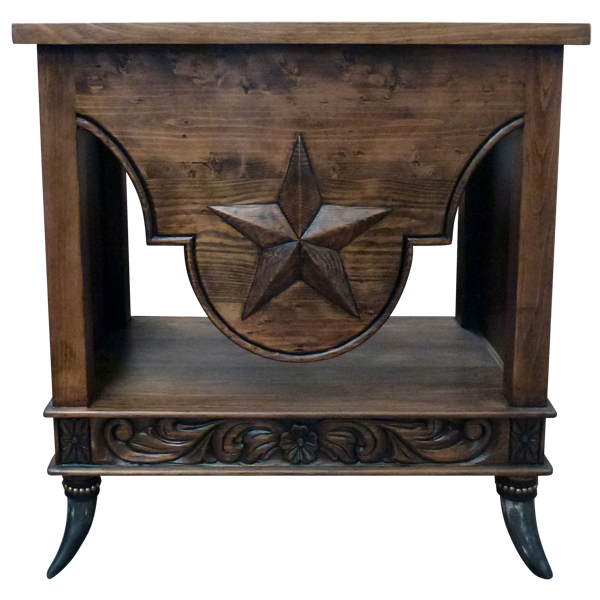 The spectacular, large, front apron of this beautifully, finished end table is adorned with an exquisite, hand carved, Texas Lone Star. Below the table top is an open space, and the table top is supported by rectangular cut, side panels. 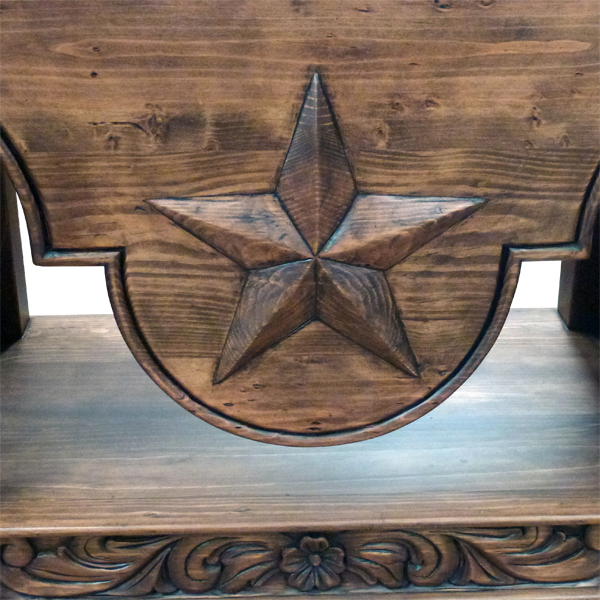 The base of the end table is embellished with hand carved, floral designs, and the base can also serve as an extra tray for placing personal items. The end table rest on sturdy, inverted, steer horn feet, and the horns are embellished with gilt nails. Made with the best, sustainable, solid wood available, it is 100% customizable.